Need super quick cash? Car impounding loan is the answer to your fund needs. This type of collateral loan in the Philippines is the easiest and fastest of all loans offered only by a few private lending companies and private financiers in the Philippines. Even banks don't have this type of fast loan turnover of cash proceeds. The reason is simple, lack of a big place to stockpile the cars. 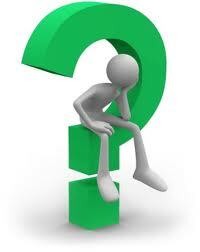 Who Qualifies for Car Impounding Loan? Technically, anybody who had a car and is willing to leave the collateral behind in a safehouse or warehouse in exchange for quick cash is qualified. You don't even have to have an income to pawn your auto with our provider. But let me remind you that since this type of loan allows short-term payment schemes as short as only 1 month, the interest rate is definitely a bit high but way lower than loan sharks of the casinos out there - casino financiers. Our provider offers super fast processing of only 1 to 3 hours so expect to submit only minimal easy-to-produce requirements (see list below). The accommodation to apply is thru appointment schedule so be sure when you avail of this type of loan that you are in time to avoid delay of cash loan proceeds releasing. Who May Apply for this Auto Collateral Loan? 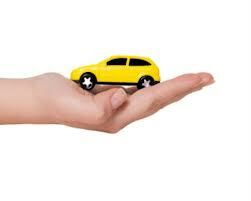 If you know you are the type of a loan borrower who needs quick cash, car impounding loan is perfect for you. As soon as you read above and determine that you are willing to leave your keys, car and ORCR, then there's almost nothing to talk about. By now you must be ready to know more how to apply. You are definitely qualified and you may apply for this type of special car loan offer in the Philippines. Apart from the fact that it is literally very easy to apply with car impounding option, we have listed other pointers to help our clients realize that if they fall under a situation, chances are, you must opt in for this type of loan. you are any of the listed borrowers - police, military, politician, lawyer, Muslim brother, foreigners, no or minimal income source, have declined application with banks and lenders, with court case, over aged or senior citizen, with unpaid loan or credit card, sum of money and BP-22 court case, car owners with deed of sale or second and third owner etc. you are a car owner with balance and cannot pay for it anymore due to bankruptcy or no income source. you own a business and needs quick funds for improvement or for fund extension use to pay for your corporate needs. you need to finance projects like in a construction business. you need to buy an equipment on sale and cannot pass until today. you need to pay for arrears of some sort and you need it ASAP. There are just 3 basic requirements to make sure you have if you are applying for car impounding loan. This does not compare at all with a personal loan. You will only need your key, original OR/CR and your car. Documents to bring will be 2 valid primary IDs for identification and any latest utility bill under your name or any document proving you own your house or live in a house that is either used free or is undergoing mortgage payment by you, the borrower. No, you don't need a PDC nor a comaker / coborrower. Undergo our pre-qualification 3 - minute interview. Confirm your interest to apply and can produce the requirements listed above so we can set you an appointment with the provider or lender. Bring the keys and car for physical checking, appraisal and confirmation of engine and chassis number in LTO. Because there is a big possibility that you only need quick bridge-financing type of fast loan, the quicker you pay, the lesser the interest rate to incurr so lenders for this type of loan usually charge big amounts for interest rate. Casino financiers from what I've hears can even charge clients and borrowers of up to 20% outright. But don't worry, our provider is one of the most considerate and that is why they only offer an interest rate of 5% plus storage fee of Php 2,500 and very little charges. There will also be no C.I. fee, just LTO fee and agent's fee.